"That fool was no dummy. Jerry Lewis was an undeniable genius an unfathomable blessing, comedy's absolute!" Jim Carrey wrote Sunday on Twitter. "I am because he was!" 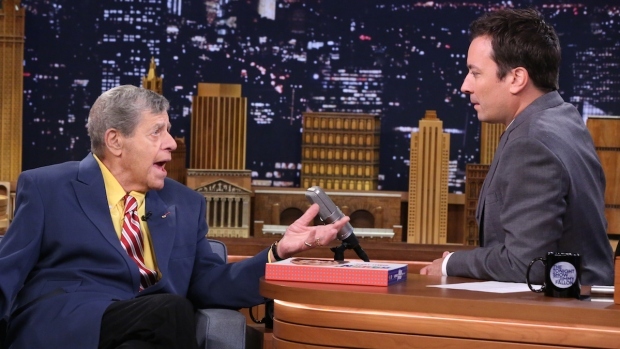 Jimmy Fallon talks to legendary comedian Jerry Lewis about the inspiration behind his musical comedy bits, and they recreate Jerry's band lip-sync scene from The Errand Boy. "The world has lost a true innovator & icon," comedian Dane Cook wrote. 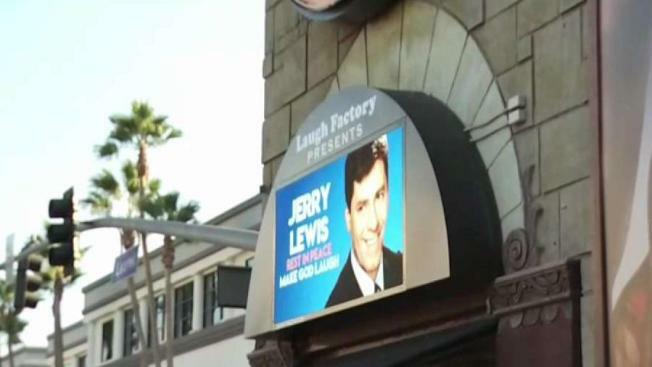 In Las Vegas, a message honoring the comedian is being featured on a marquee at Caesars Palace, where Lewis was once a headliner and had also hosted telethons. In Los Angeles fans and admirers gathered at Lewis' two Hollywood Walk of Fame stars — one for television and one for film. "Jerry was a pioneer in comedy and film. And he was a friend. I was fortunate to have seen him a few times over the past couple of years. Even at 91, he didn't miss a beat. Or a punchline," Lewis' "The King of Comedy" co-star Robert De Niro said in a statement. A major influence on Carrey and other slapstick performers, Lewis also was known as the ringmaster of the Labor Day Muscular Dystrophy Association, joking and reminiscing and introducing guests, sharing stories about ailing kids and concluding with his personal anthem, the ballad "You'll Never Walk Alone." From the 1960s onward, the telethons raised some $1.5 billion, including more than $60 million in 2009. He announced in 2011 that he would step down as host, but would remain chairman of the association he joined some 60 years ago. "Though we will miss him beyond measure, we suspect that somewhere in heaven, he's already urging the angels to give 'just one dollar more for my kids,'" said MDA Chairman of the Board R. Rodney Howell on Sunday. White House press secretary Sarah Huckabee Sanders said Lewis "lived the American dream" and that "he truly loved his country, and his country loved him back." Sanders added: "Our thoughts are with his family today as we remember the extraordinary life of one of our greatest entertainers and humanitarians." Lewis' fundraising efforts won him the Jean Hersholt Humanitarian Award at the 2009 Oscar telecast. But the telethon was also criticized for being mawkish and exploitative of children, known as "Jerry's Kids." A 1960s muscular dystrophy poster boy, Mike Ervin, later made a documentary called "The Kids Are All Alright," in which he alleged that Lewis and the Muscular Dystrophy Association had treated him and others as objects of pity rather than real people. Lewis also sassed and snarled at critics and interviewers who displeased him. He pontificated on talk shows, lectured to college students and compiled his thoughts in the 1971 book "The Total Film-Maker." "I am not ashamed or embarrassed at how seemingly trite or saccharine something in my films will sound," he wrote. "I really do make films for my great-great-grandchildren and not for my fellows at the Screen Directors Guild or for the critics." In his early movies, Lewis played loose-limbed, buck-toothed, overgrown adolescents, trouble-prone and inclined to wail when beset by enemies. American critics recognized the comedian's popular appeal but not his aspirations to higher art; the French did. Writing in Paris' Le Monde newspaper, Jacques Siclier praised Lewis' "apish allure, his conduct of a child, his grimaces, his contortions, his maladjustment to the world, his morbid fear of women, his way of disturbing order everywhere he appeared." Lewis was born Joseph Levitch in Newark, New Jersey, on March 16, 1926. His father, billed as Danny Lewis, was a singer on the borscht and burlesque circuits. His mother played piano for Danny's act. 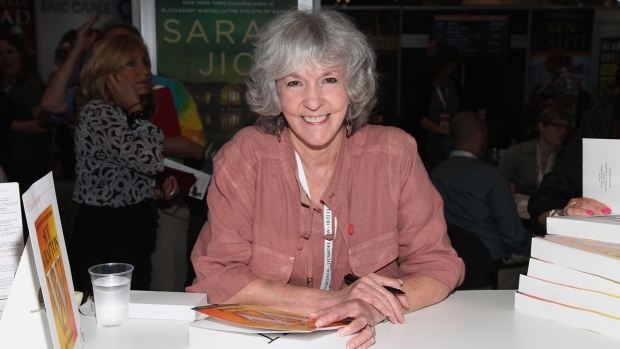 Their only child was often left alone in hotel rooms, or lived in Brooklyn with his paternal grandparents, Russian Jewish immigrants, or his aunts in New Jersey. "All my life I've been afraid of being alone," Lewis once said. In his later years the solitude haunted him, and he surrounded himself with an entourage.